Welcome to the end of the world. No, really. The first screen you get greets you with a skeleton, and your dog is cautiously approaching to steal his pack. These are by far the greatest of times. First off, this game is brought to you by a little group of people calling themselves The Molasses Flood. You may not have heard of them. I hadn’t, until recently. These guys and gals are veterans of the AAA game industry, coming from such projects as Rock Band, Guitar Hero, Halo, and BioShock. This should tell you that the gang behind this game know what they are doing, and it shows. Greeted by a skeleton. Well, we know this game won’t have the most cheerful of actions. ha. Starting with you, your dog, and what little inventory your dog can carry over from previous lives. Given all the ways a post-apocalyptic world could be displayed, I really like this one. Beady red eyes peering out from the edges of the waterway, letting you know there are dangers around. From what I’ve seen so far, there is no ‘save mode’. Every time you play is essentially down to the essentials that you begin with, and the items you find. You can find schematics and parts to improve your raft. Locate plans and recipes for improved clothing. Eventually you can even build a stove on your raft, so that you can travel with fire. I for one have not achieved this level of rockstardom yet. However there is a campaign mode in the works, though at the time of this review, it was not released to the public. I am definately curious to see how the campaign differs from the ‘endless river’ mode I have been playing these last few days. The music is subdued, and consists of items you could easily find rafters carrying: acoustic guitar and harmonica. There is just enough to really immerse you in the feeling of being in that whitewater in the middle of nowhere, and there is no one coming out to your aid if you crash. The animals are half of the fun of this adventure. Catch rabbits for food and pelts. Then you have your boars, which are not nice and injure you easily. After boars, you have wolves. Wolves are nasty creatures that are out to get you, any which way they can. And bears. Who ever thinks they have a chance with a bear can have their head examined. It’s not going to happen. Ants will crawl up and bite you if you get in their way, and if you aren’t careful, this will lead to an infection you will have to treat. Oh, and there are crows. Crows alert all these big nasty beasts to your presence, though none more so than the wolves. The Flame in the Flood is very realistic in their portrayal of survival here. You have to keep an eye on your hunger, on your thirst, your body temperature and your fatigue. Now add to that, that most of the water sources will give you diseases and make you sick, it is a risky thing to just take a drink of water. And who would have thought that you would need cattails to make cords, or to insulate clothing? Bravo, Molasses Flood, you guys went the extra mile. DID THEY LEAVE ANYTHING BEHIND? Now luckily, in some of these scavengable locations, you will find plans for box traps, snare traps and even spear traps. Box traps allow you to trap the rabbits alive, so you can use them as bait for the wolves, or turn around and use them for food and fur. The snare traps will kill the rabbits for you, so you have less work to do, if that’s what you’re in the mood for. The fun traps however, are the spear traps. Now these are a bit bigger, and a bit costlier, but boy are they worth the price. Two spears spring-loaded on a tree branch, waiting for an unassuming prey to walk through its path, then wham! Who wants boar for dinner? Now I haven’t tried to catch a wolf this way yet, but it seems to me like this should work. If so, I should be having wolf hide in one of my next outings. If I can stay dry. As if all the perils listed above were not bad enough, we have the weather to pay attention to. Everything is A-ok when the sun is shining and your not being chased by boars, think about the wonderful things that happen when it rains. Your fire goes out, you get drenched, and you quickly get cold. Sounds fun, right? Nope. Find shelter, and hope you can find another fire tomorrow. I can’t wait to see what Molasses has in store for the campaign mode, because the ride has been pretty awesome so far. Killing a boar, and making clothing out of it, sounds like a good day to me. Found enough schematics to put a shelter on my raft? Even better yet. These guys have gone above and beyond in things that I would have never considered when drafting a post-apocalyptic river rafting scenario. 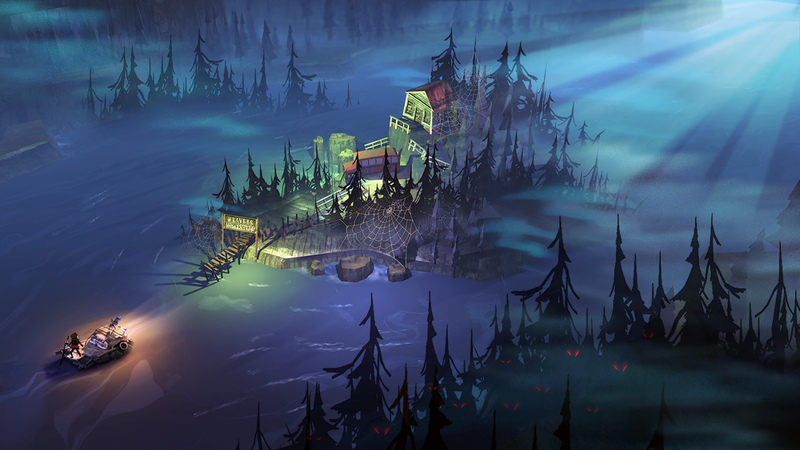 If you haven’t tried The Flame in the Flood yet, you are definately missing out. 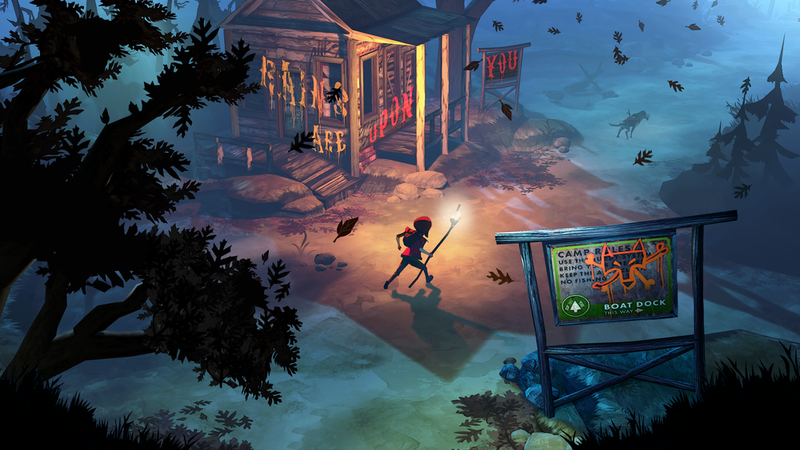 The Flame in the Flood is available on Steam for $19.99 US. 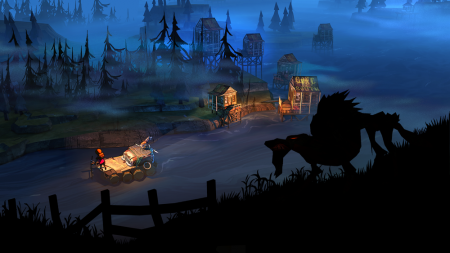 This review was based upon a digital copy of The Flame in the Flood supplied to Brutal Gamer by Molasses Flood LLC.